Jeddah, KINGDOM OF SAUDI ARABIA – The Kingdom of Saudi Arabia’s national flag carrier, Saudi Arabian Airlines (SAUDIA), will add its ninth destination to the Republic of India, starting from 5 December this year. The carrier is re-launching services to Calicut after a period of three and a half years, when the airline stopped services in May 2015 because of runway restrictions of wide body aircraft due to runway re-carpeting. SAUDIA is pleased to be resuming services to Calicut, which the airline first launched services to in March 2009. The airline will operate nonstop services from both Jeddah and Riyadh to Calicut on a split schedule – four-times-weekly and three-times-weekly, respectively. A widebody Airbus A330-300 in a two-class configuration economy and business will be operated on the route, availing 36 seats in Business Class and 262 seats in Economy Class. The total journey time is approximately five hours and thirty minutes. With the resumption of the Calicut route, SAUDIA flies to a total of nine points in India: Bangalore, Calicut, Chennai, Cochin, Mumbai, Trivandrum , Delhi, Hyderabad, and Lucknow. Altogether the airline operates 65 flights per week between the Kingdom of Saudi Arabia and the Republic of India. 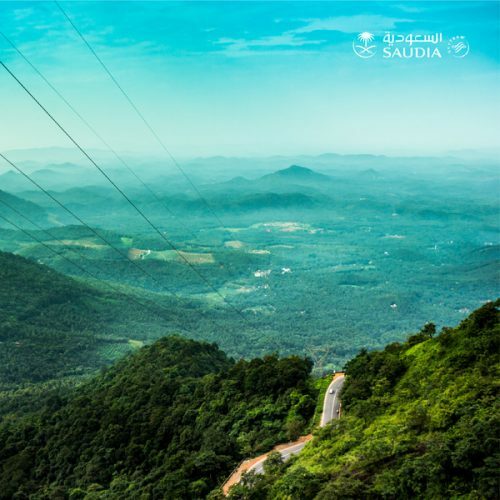 SAUDIA launched its latest route in India last year to Trivandrum – on October 1, 2017. With this operation SAUDIA will strengthen further the already strong relations between the two friendly countries. SAUDIA is the main carrier for Hajj and Umrah passengers between the Republic of India and the Kingdom of Saudi Arabia. The direct air links also adds flexibility and convenience for Indian expatriates who are currently employed in the Kingdom, and for international travelers transiting with SAUDIA to reach one of the Indian cities the carrier operates to. SAUDIA currently flies to more than 94 destinations worldwide, with a modern, mixed fleet of 155 narrow and widebody aircraft. The fleet is set to grow to more than 200 aircraft by 2020.